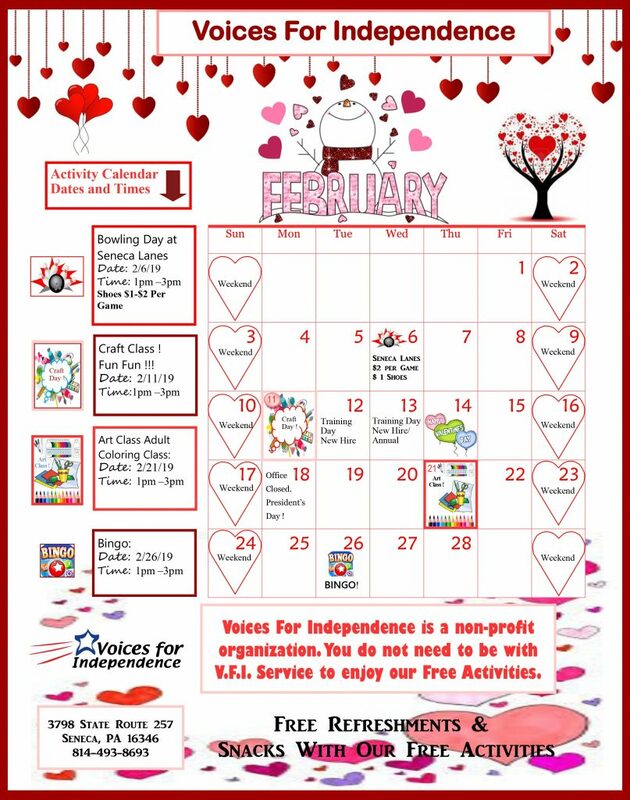 Seneca Friends– The VFI Seneca February Activities Calendar is Here! Hello, SENECA friends! We hope that after the big game yesterday, you’re ready to clear your calendar for VFI Seneca’s activities! There’s plenty happening this month at our Seneca office, so give us a call for more information or stop on in today! 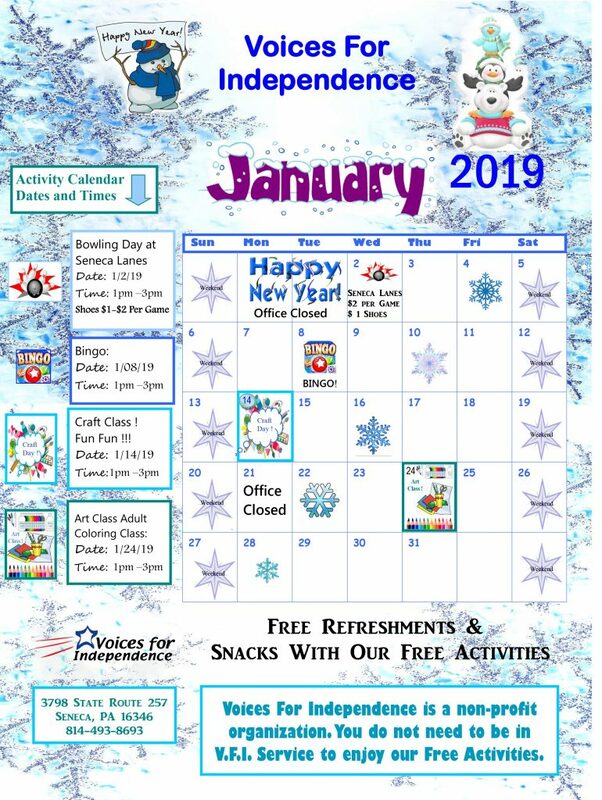 The Seneca January 2019 Calendar is Here! Hello, Seneca friends! As we approach the new year, we are happy to present our Seneca activities calendar for January 2019! Check out everything that the month of January has to offer at our Seneca location, and we hope to see you soon! The Seneca October Calendar Has Arrived! Attention Seneca friends! 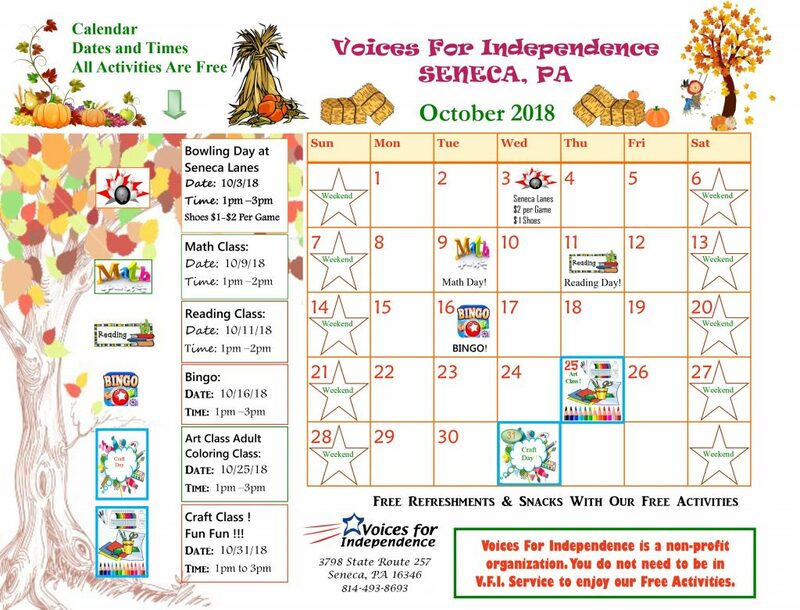 October is here– and so is the new VFI Seneca monthly activities calendar! Take a look at what we have planned down at the Seneca office and see what we can do for you! 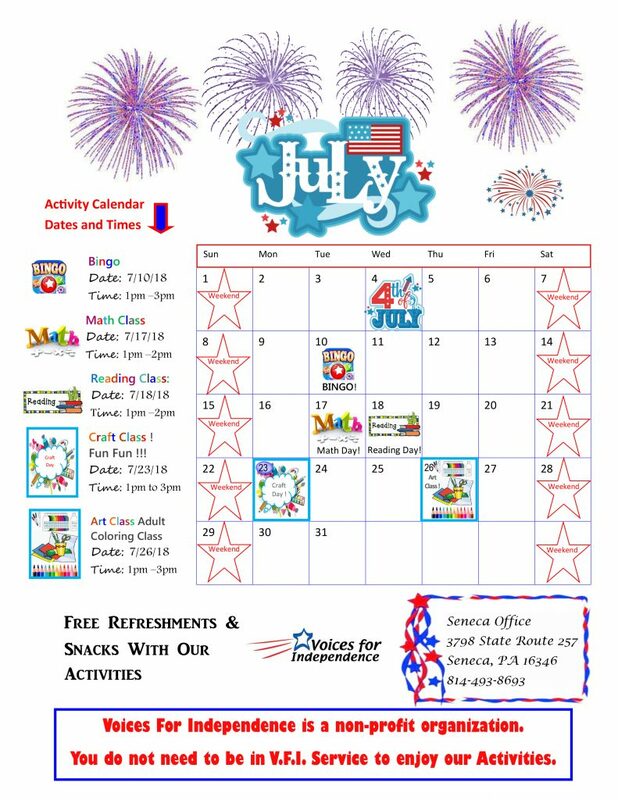 The VFI Seneca July 2018 Calendar is Here! Hello, Seneca friends! As we enter the summer month of July, we kick off another month of activities at our Seneca office! 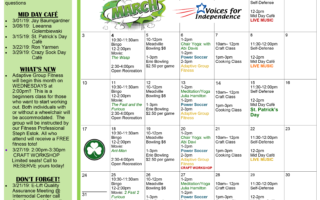 Please check out the calendar below to see what our Seneca location can do for you! 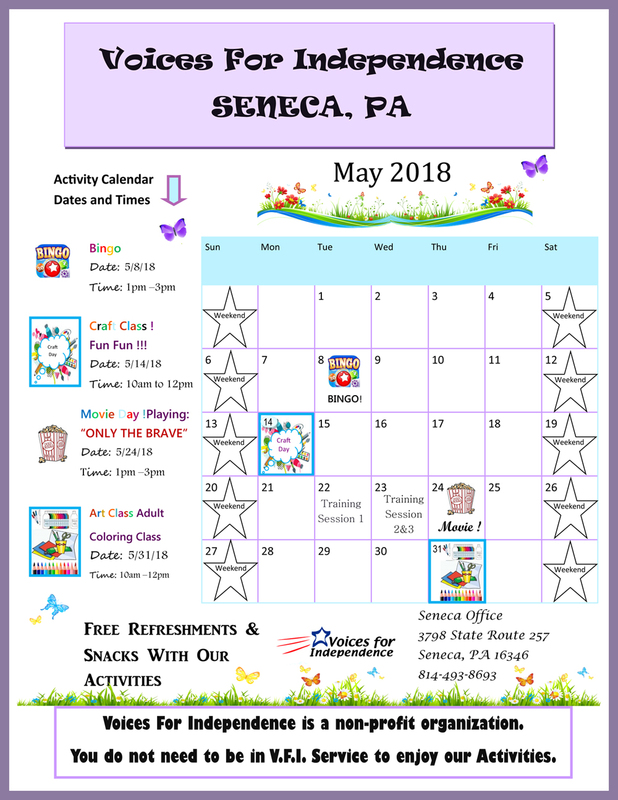 The Seneca Office May 2018 Calendar is Here! Happy May, Seneca friends! As we enter the warmer month of May, we have a number of activities to partake in, down at our Seneca Office location! If you or someone you know is interested, feel free to call the Seneca Office at (814) 493-8693 for more information. The Seneca Office is located at 3798 State Rt 257 Seneca, PA 16346– hope to see you there!